This is the image of San Fermín venerated in Pamplona, Spain. 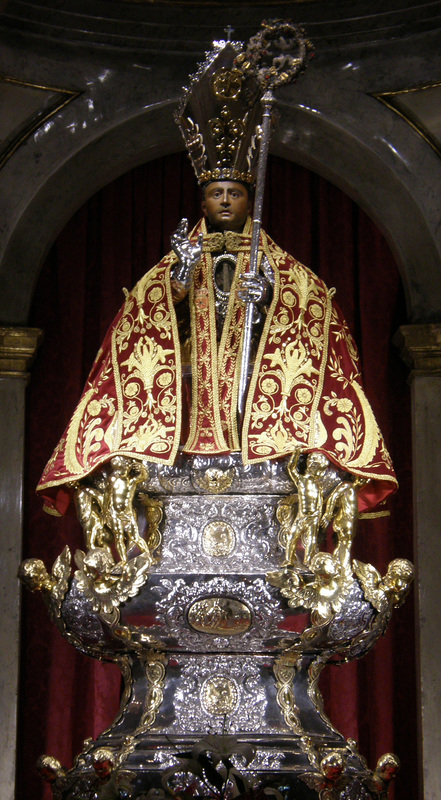 It contains relics of the saint martyr in its chest. The image is a 15th century bust of the saint. Every year there is a procession followed by thousands of people the 7th of July. Many of runners of the running of the bulls use to ask for protection to this saint before putting themselves before the bulls each morning during the fiesta. This is the most beloved relic in my town.